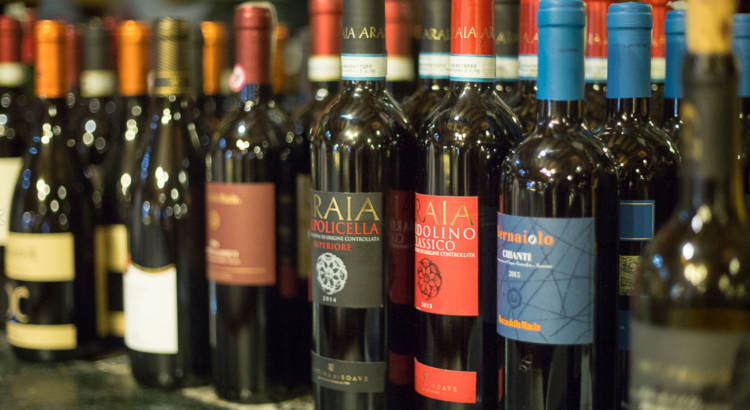 Italy continually produces some of the best loved wines in the world and, naturally, at Villa Romana we aim to reflect the breadth of choice available in all types of Italian wine, both white and red. Our wine menu is updated seasonally to reflect what we believe to be the best types of Italian wine of the moment. Undisputed by many as the finest of Italian red wines, Barolo is made with nebbiolo grapes to give it a full body and a fine perfume. Gavi de Gavi is a famous Italian white wine from the vineyard area surrounding the city of Gavi. It is distinguishable by its crisp aromatic quality and floral notes. One of our favourite types of Italian white wine, Gavi de Gavi is best enjoyed young… and with a fine Italian meal. This fine Tuscan red wine is named after a small medieval hill town from its area of origin. One of the finest types of Italian red wine in our menu selection, Brunello has a complex taste and an excellent capacity for ageing. This dry white is both delicate and aromatic. It is one of our top picks for fine Italian white wine and one of the best selling white wines at Villa Romana. With a sweet cherry and almond flavour and a dry finish, Chianti Docg is our current pick of Italian red wine from the famous Chianti region. The region of Orvieto has been producing wines since the middle ages and is primarily known for its white wines. We have more than one on the Villa Romana wine list at present, both selected for their nutty, fruity varyingly complex flavours. A delicious ruby red wine with a soft tannin, these Italian red wines are widely popular. Always a crowd pleaser, Pinot Grigio is one of the most popular dry white wines in Britain and America. Definitely one of Britain’s favourite types of Italian white wine, with many varieties, it is produced in Northern Italy and is distinctive for its punchy flavours and refreshing taste. Amarone is a red wine made from grapes that have been allowed to age over the winter to create a rich, dry feel. The only bubbly on our list, this white, semi-sparkling wine is beautiful with most dishes and perfect for a celebration. If you would like to know more about the types of Italian wine that we have on offer or the selection that best accompanies your order simply ask your server.